Sorry, but I couldn't resist the opportunity to throw a little TLC up in this blog post. After all, that song used to be my jam! 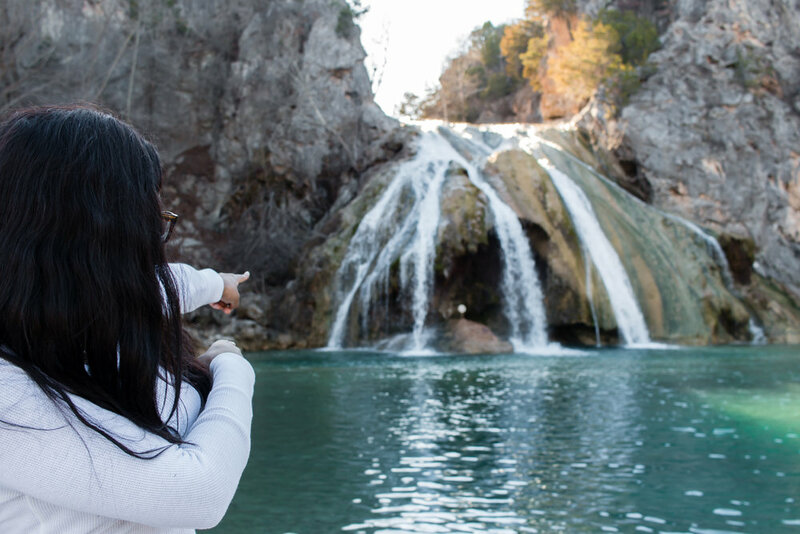 Although TLC said that you shouldn't chase waterfalls, Turner Falls is definitely worth chasing. 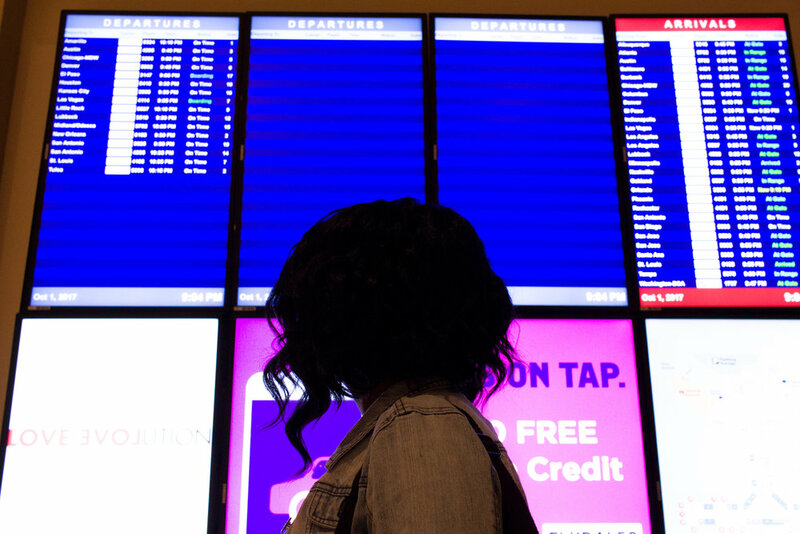 My hubby and I recently took a quick trip to Oklahoma City and decided to make a quick stop on our way back home to Dallas. Our visit to Turner Falls was completely random. We kept seeing signs for it as we drove down Interstate 35 and decided to embark on a quick adventure. Turner Falls is only 2 hours away from Dallas and about an hour away from Oklahoma City. Once you turn into the park you approach an entrance gate where you'll need to pay an entrance fee. Since we were visiting during Winter the fee was only $4 per person. The park charges $12 per person during the Summer season which runs from May 1- September 30. After we entered the park, we headed straight on over to the main waterfall. You'll have to drive over a mini-river but don't worry. After driving through we parked and walked on up to the waterfall. The waterfall was breathtaking! The water has a blue-green tint and is so beautiful. There are tons of fun spots to take photos and enjoy the beauty of the waterfall. Turner Falls Park also has fun areas that are available for swimming. Would you take a ride on these waterslides? Although I'm an ocean person, I plan on visiting the park during the summer to take a dip. There are also plenty of grills located throughout the park along with cabins available for rent. Reservations are highly recommended during the Summer season but the park also accepts walk ins. After exploring the main waterfall, we drove up to an observation point that's near the park's exit. The view is phenomenal. The park also offers zip lining here for only $10 per double rider and $15 for a single rider, which is a total steal. Bring a light jacket or sweater. The temperature can be a few degrees cooler near the Falls. Pack Snacks. Although there's a great fried pie shop near the park, there aren't many dining options nearby. Bring a change of clothes. The park has clean restrooms available if you need to change after a hike or swim. Hike & Fish. The park has plenty of hiking trails and great spots to fish. Have you ever visited Turner Falls? If not, would you take a trip to this gorgeous park?